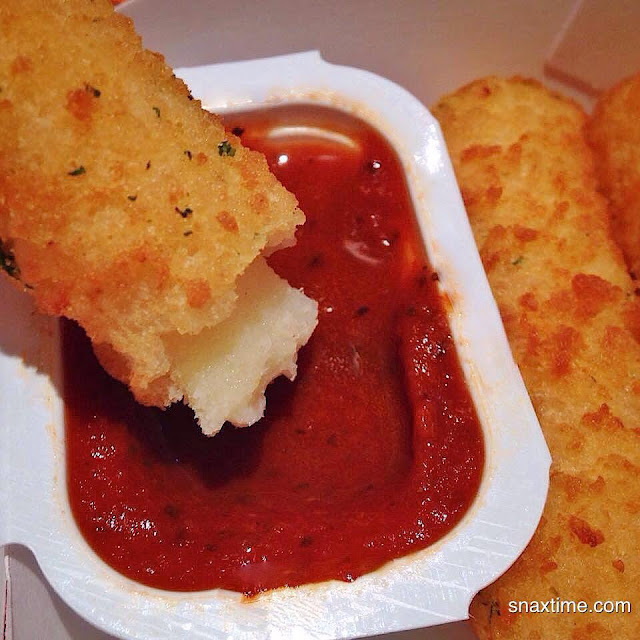 McDonald's has recently revamped their Dollar Menu & More with an exciting new addition, 3 Piece Mozzarella Sticks with marinara sauce! Whenever McDonald's releases a new menu item, it's safe to assume that they spent hundreds of hours perfecting the taste in a food laboratory, and that seems to be the case with these cheesy bites. The balance of flavors is spot on and we were left wanting more! 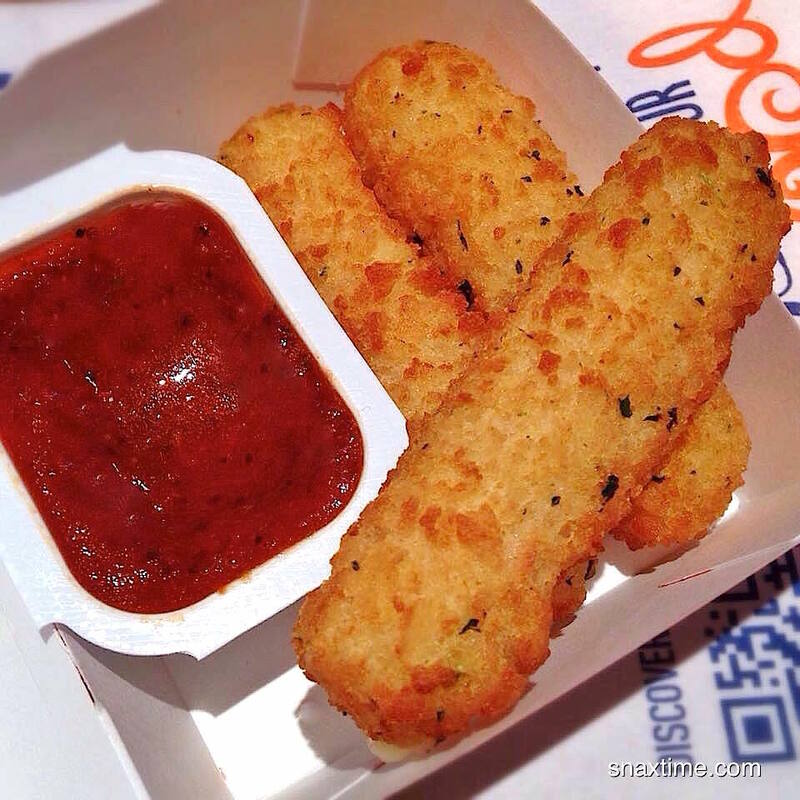 The cheese in the stick has a nice creamy and rich mozzarella flavor and the texture is gooey but firm. The breading is nicely spiced with Italian seasonings and has an appealing crunchy bite. The marinara sauce is spectacular with the perfect amount of tanginess and sweetness and a noticeable hint of garlic. 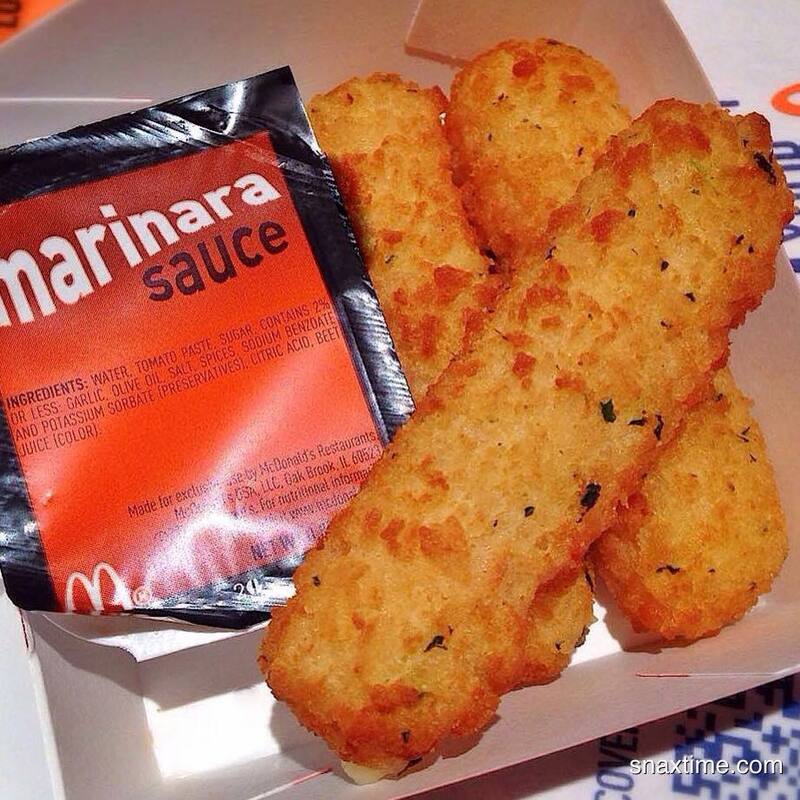 The best part about McDonald's Mozzarella Sticks is that they are only $1, which is a real bargain given the fact that restaurant cheese sticks will set you back anywhere from $5-10 depending on where you go. These hot snacks have taken center stage on the Dollar Menu & More so make sure you try 'em out! UPDATE: We wrote about these a year ago as we were apparently in a test market area when we found them. But McDonald's has recently announced that these cheesy treats will soon be available nationwide as part of their Dollar Menu & More!